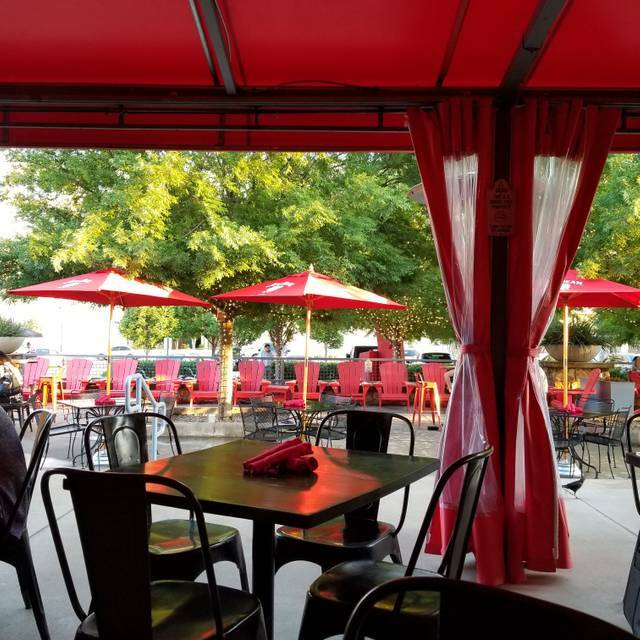 You must make reservations at least 5 minutes in advance of the time at Chino Chinatown at Trinity Groves. Chino is inspired by Chinese immigrants that came to South America from the southern province of Guangdong and Macau in the late 19th century. Due to lack of Asian ingredients, the Chinese adapted their cuisine with items available in the area, creating unique blends of Chinese cooking with Latin ingredients. They established “barrio Chinos” which translates to “Chinatown” in Latin American cities. Chino will transport people to this era of mystery and adventure. 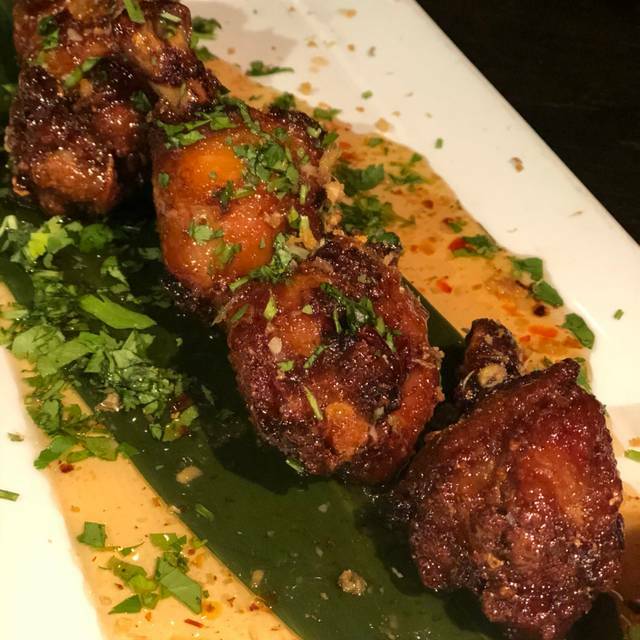 Inspired by “barrio Chinos,” Uno Immanivong created Chino Chinatown, a destination for Chinese and Latin-influenced cuisine. The bar menu is motivated by the cocktail movement and features classic, hand-crafted drinks. The menu is a collaboration of Asian & Latin cooking styles and techniques. The service is absolutely horrible. We waited 20 min before someone even said a word to us. I was not a fan of the Nats flying around due to the open patio either. However, the saving grace was the food. Sooo delicious. 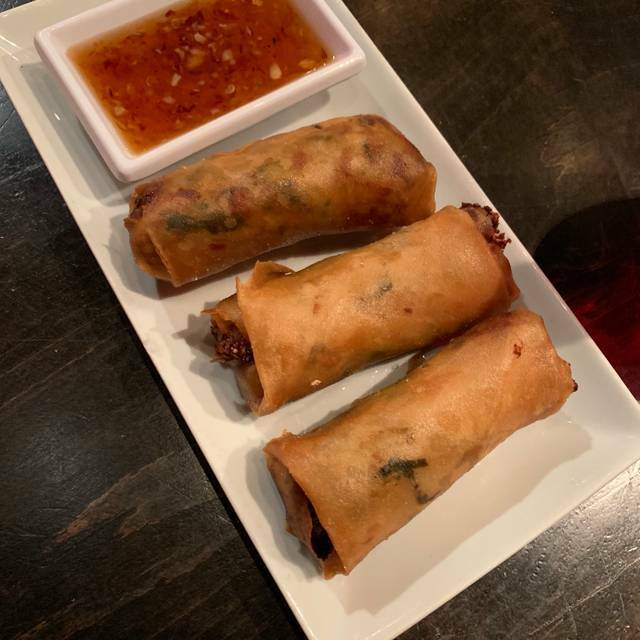 The duck rolls are incredible! Loved the food - asian latin fusion - perhaps would have liked a few more options. My only request may be for a few more options. We will definitely come back. Place was loud, cold and too energetic. Seemed more like a sports bar than a restaurant. I don't feel that I got was I paid for. I can understand that the high prices for average food are due mainly to the area of the restaurant but it was not worth the money paid. If you want a place to hang out with and have to yell in order to be heard across the table then this is your place. NOT a good first time date type of restaurant. There was a paint party being held inside and we needed to wait because they overeat outside even though we made a reservation. The food was fine but none of it was particularly impressive. The best thing we had was the chicken dumplings. Very friendly waiter, Chris. The food is always delicious here! Food menu was just ok. Was expecting more based on D-Magazine review. Great food....absolutely awesome food... Yet this was the second time my guest and i had bad service. At least a 15 minute wait before anyone even acknowledged my table and asked for drinks. We spent hundreds of dollars there this event and have one more planned there. This was my wife's birthday... And the lack of service help personnel put a bit of a damper on our evening. The bar was especially nice. Great cocktails.... But that service needs improvement. Great experience. Food and service were excellent. Ordered a carafe of a specialty cocktail, and it was only about two and a half drinks, would have been better off ordering singles. The portions were big, but the food didn’t pop. Best thing was the dipping sauce for the egg rolls. 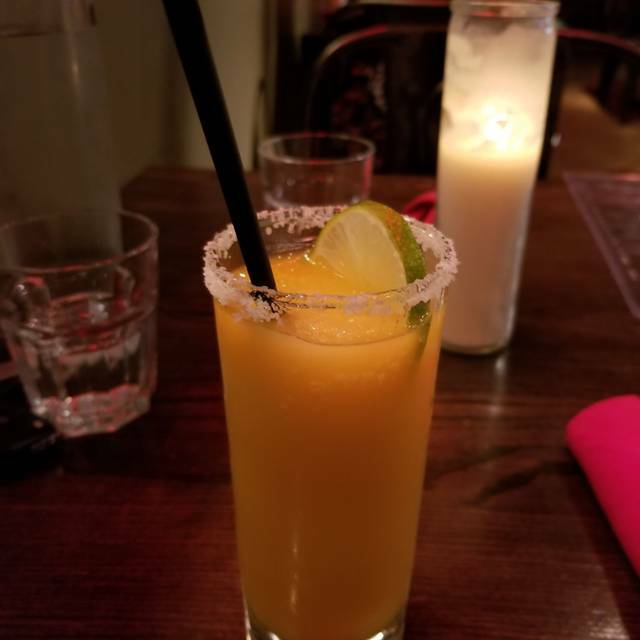 Firstly, I asked for a non sweet version of the cocktail I ordered. It arrived syrupy sweet and warm with the ice cubes almost totally melted. When I brought this to our server’s attention, she made excuses and even blamed the mint leaves for making it sweet. She should have immediately whisked it away and made another one. The food was subpar. This is all the time I want to spend on rating this restaurant. So delicious and reasonably priced. Our waiter was nice and gave great recommendations. Would highly suggest the duck fat fried rice, ramen and drunken noodles! It was very good as always!! Great food and service! The combination of flavors is unique and delicious. I highly recommend this place. Duck fat fried rice is amazing. 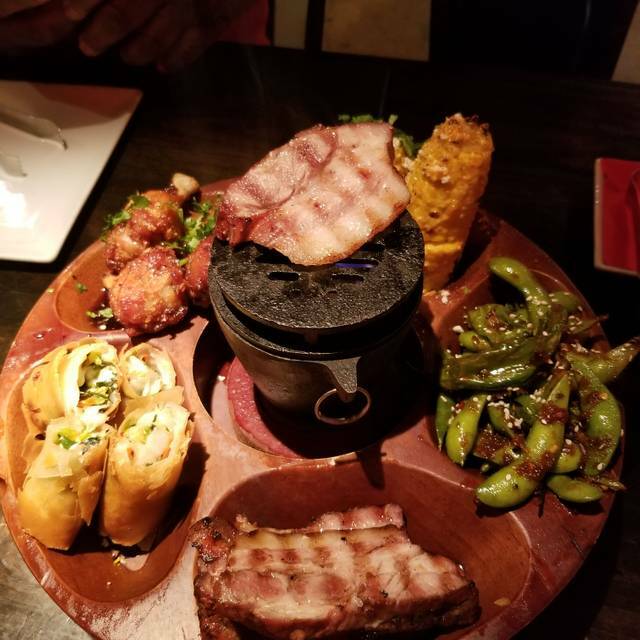 The mash up of Asian and Latin flavors is a brilliant idea. The food and atmosphere is great, however they are severely lacking in service. I've been only a handful of times and every time the service has been subpar. This last time, we had a group of 6; my husband and I came after the waitress greeted the table at first and she didn't come back for another 15-20 minutes and we had to go to the bar for our drinks. Even when she finally came by, she never asked us if we wanted something other than water to drink. When we were finally finished with our meal, it took her another 15-20 minutes for her to come by and ask us if we needed anything else and even then, she never cleared our plates. We sat there for probably another 45 minutes talking, with this old food in front of us and she never came by. On top of that, we were charged 20% automatic gratuity for less than stellar service. Great good and the waiter had great recommendations! Will definitely go back! Good location. Food was okay. We were brought incorrect food two times. Bar was slow with drinks. Server was friendly, apologetic, and prompt. We ate and drank some must-haves! Nothing we had was off-mark. 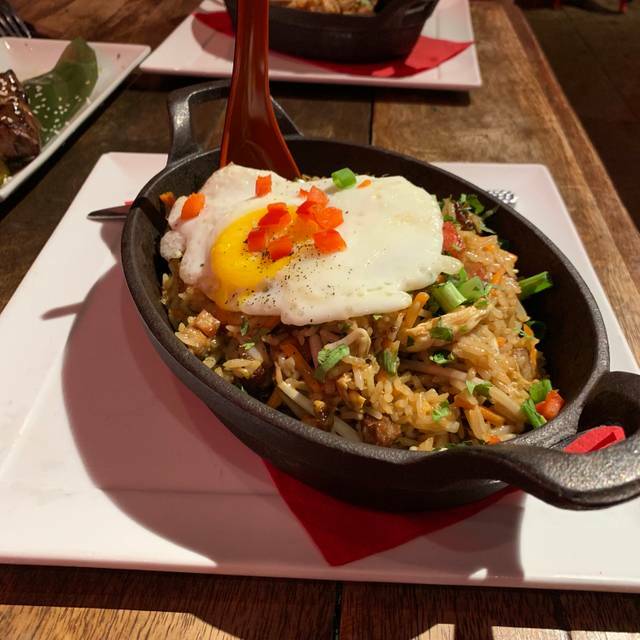 The Duck Fat fried rice is worth a drive to eat. The waitress was super friendly and we didn't have to wait long for any appetizers. We will definitely be back very soon. The service was very good, and the food was delicious. Would definitely recommend. Tried Chino's as a special treat for a sybling visiting from the west coast. 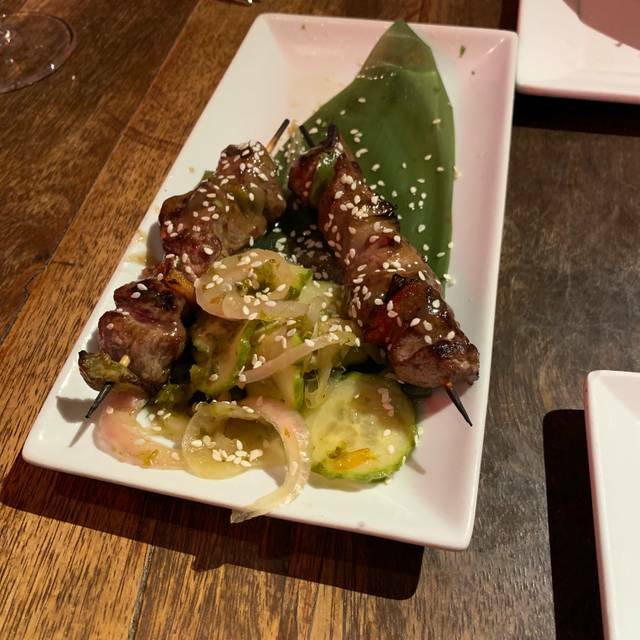 We were very pleased with the distinctive menu, and waitress Sarah's attentive service and solid recommendations on what to try from their menu. For those that are Chinese purists; don't be put off by the description Chino's publishes noting Chinese with a latin flair. 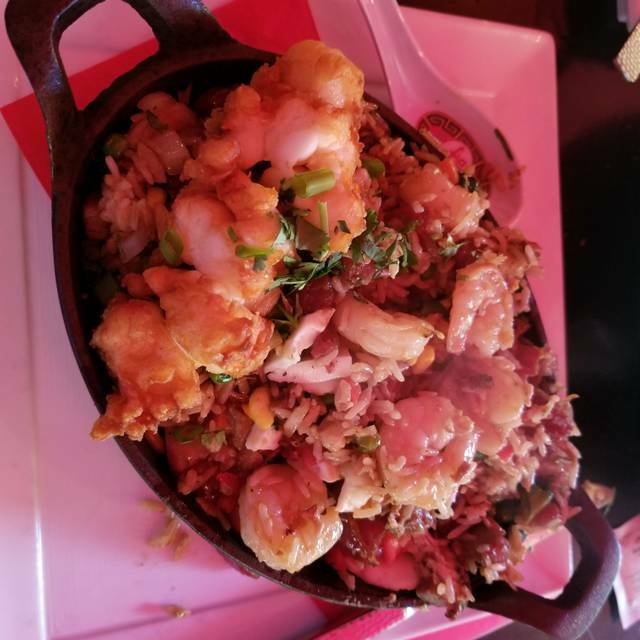 The dish's asian tones are nicely complimented by the addition of the South American flavors. Well worth a visit if you're ready to try something outside sour comfort zone. I only go to Chino Chinatown when I have a craving for something rich in flavor and a bang for my buck. Their duck fat fried rice and lollipop chicken does it for me every time. No one in our party was impressed with the food. It was pretty mediocre and expensive for being so basic. Would definitely not go back again. When the food comes out before the drinks that’s never good let alone 45 mins to get a drink . Service by far the worse I have ever seen. Food was ok but not worth the wait . Rude waiter that seated us. Entire staff was seemed poorly dressed and not put together very well. Food was fair at best. We will not be going back. Food arrived cold. Server was overwhelmed. Reservation requested a table with a spot for a baby carseat & we were seated right next to the patio door which people had to keep opening to go outside, but the door would stay open. Had to keep getting up to close the door so my family wouldn't freeze to death during dinner. Went ahead and placed our dinner order, & ordered a second round of drinks and asked for the check all at once because service was slow. Asked for a to go box, which I never got. I just let that slide because the food wasn't great anyways. They stayed open late to accommodate us. Food was very good! The atmosphere and food quality have diminished over the last couple of years. On this visit our food came out one plate at a time over 4-5 minutes and the food was warm, not hot. The restaurant had a lot of flies as well. Our friends picked this spot but the food was just so so. They're more into their presentation than they are about the actual food or the ability to eat it. I ordered elote which never came until I asked about it almost 45 minutes later. They informed me that it was sitting in a togo box in the back and they were trying to figure out where it went... then they brought it out and served it to me. It's just corn on the cob with dressing and cheese poured all over it. I asked "how do people eat this??" I was told "they just eat it. It's messy. Some cut it off with a knife". Not only was the flavor just so so but the ability to eat it without making a huge mess was not an option. The fried rice that came with my dish was wet/slimy. Rice should never be wet or slimy, even when fried. The chicken was tough and stringy and the sauce was just meh. It was spicy but not super flavorful. It was more along the lines of orange chicken than sesame chicken. Our friends had been before and really loved it but my husband and myself remarked upon leaving " I wouldn't go back. 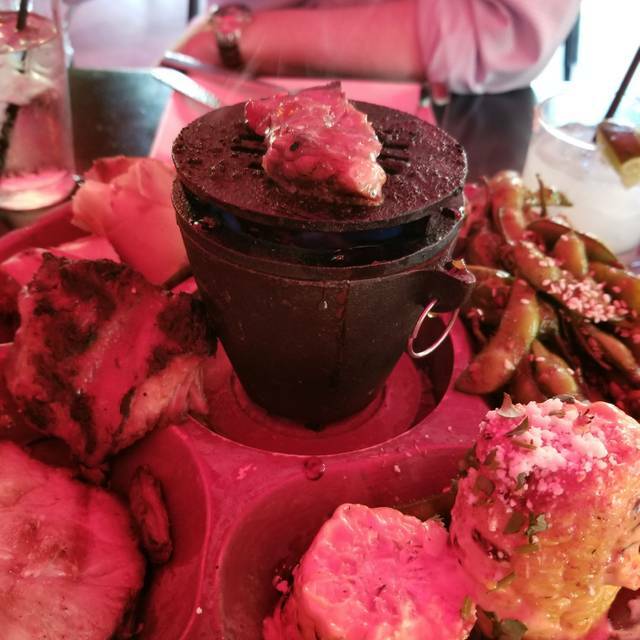 The food was kind of gross and the price was quite high for the food quality." Food was tasty but my food was not hot. It was barley warm. The food was extremely salty. The Thai coconut shrimp soup was so salty I couldn’t even eat it and the shrimp was very fishy tasting. I used to love this place but after how bad the food was this last time I don’t think I’ll be going back which is very disappointing. The food is great; the chicken and broccoli dish is really good! Their drinks are delicious too! Service was good too but only complaint was that waitress came by like every 5 min. She was very attentive but it would have been nice if she came by less to give us more uninterrupted conversation time. I used to rave about this place and highly recommended it to friends. I thought of it as one of the jewels at Trinity Grove. However, the Last few times I’ve been there it’s been marginal at best. Service is seriously off, food is poorly cooked by being too greasy or over-cooked and the menu has become stale. The restaurant just has to get back on track. Just by looking at the buzziness of the surrounding establishment you can surmise that others are in agreement with this assessment (for one reason or another). We went for my husbands birthday. The food was delicious we had lobster shooters and duck fat fried rice. My husband got a huge slice of pineapple upside down cake with a sparkling candle free for his birthday dessert. Service was good. We will certainly return.